Petrobras discovered oil reserves on the family’s land in 1972 and since then have set up oil wells, a small storage facility and kilometers of pipelines. In addition, Olinda and her family live surrounded by eucalyptus plantations that have destroyed the waterways and polluted the land. Benedito is Olinda’s brother. 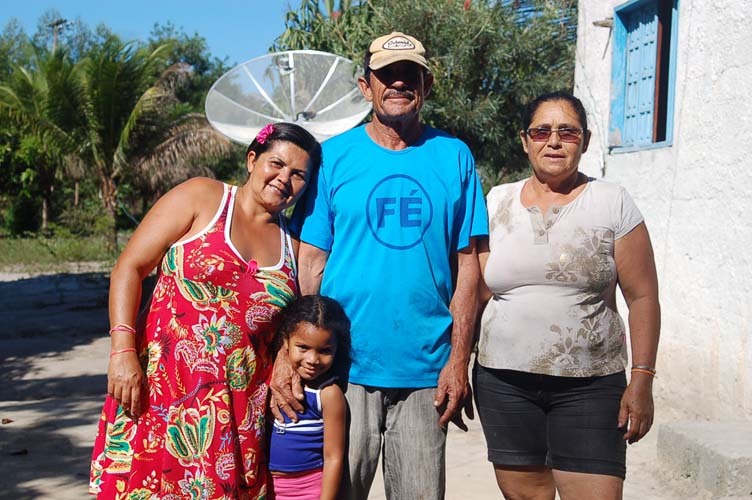 He and his family have been displaced, harassed and continually ignored by Petrobras over the last 40 years. The impacts have been so severe that his family was forced to relocate to the outskirts of Conceição da Barra. One might think that Olinda and Benedito’s families would be very wealthy from the oil on their lands after 40 years but they receive almost no royalties and no compensation. On the contrary, continued harassment and health problems are reoccurring in their families.